Our check list and resource pack provide all you need to set up your group and help ensure the smooth running of your meetings. Identify someone who can help you do some of the work, or with whom you can bounce ideas around. They may be a colleague, someone who has organised meetings before, someone in the practice, or a pharmaceutical company representative, etc. We have devised a guidance document for Group Leaders on working with Pharmaceutical Companies to arrange meetings. Agree a budget, meeting objective and secure funding for: venue, refreshments, payment of speaker costs; plus assistance with the invitation process (stationery, photocopying and postage). A sample costings grid and agenda are available in the resource pack. PCRS cannot accept responsibility for the running of nurse groups or any financial costs incurred. Agree who has responsibility for each of the meeting elements (e.g. organising the venue, the agenda, the speaker, inviting delegates, etc). Ensure that the speaker is identified for the main session and identify suitable dates. Confirm speaker timings and identify AV requirements. Ensure venue arrangements are made and agree an event brief. Obtain maps or location information for inclusion with confirmation letters/emails. Complete and send the invitations. Collate responses and send out confirmation letters. Keep in touch with your fellow organisers. Ensure final event brief is sent to the venue with accurate delegate numbers. Prepare onsite materials; agenda, slides, certificates of attendance, evaluation forms, and handouts if necessary. Organise and run meeting onsite. 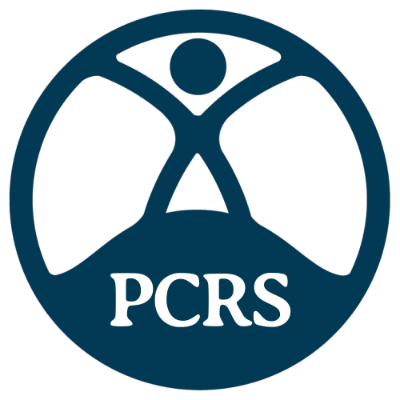 Please encourage delegates to join PCRS. Information about the benefits of membership can be found online and group leaders can download our Slide Kit to raise aeareness of and promote PCRS activities. We are keen to hear your feedback so complete and return the Group Leaders Feedback and send to us. If minutes are taken they should be produced from the local group, and not under Primary Care Respiratory Society's name. Ensure all relevant payments are made. Establish suitable time for next meeting and organise it. Make sure you try and keep the momentum going while everyone is still motivated. Try to have suggested dates available for future meetings at each meeting. At any stage feel free to contact us for further information/guidance.